A highly engineered cubicle designed with high-specification projects in mind. Available as 2100mm o/a height as standard but with options to extend to a full floor to ceiling system. 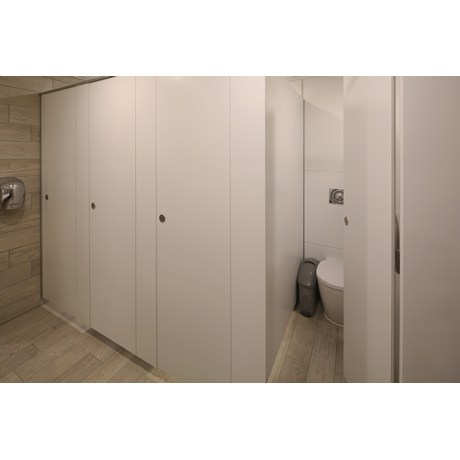 Marcato’s specially designed flush fronted and rebated finish ensures division panels and doors meet edge to edge for maximum privacy and the waterproof properties of the solid grade laminate (SGL) make it an ideal choice for toilet, shower or changing cubicles. 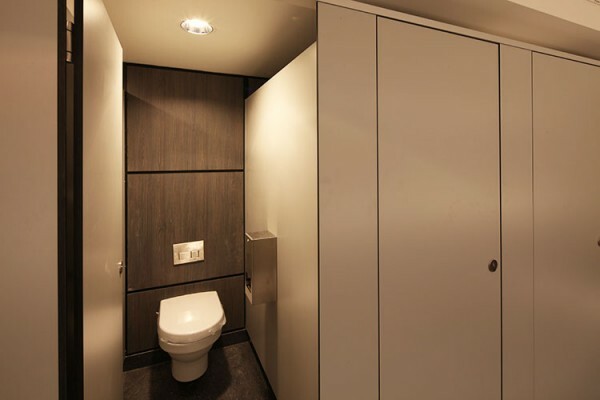 Optional floor to ceiling cubicles are also available with minimal floor clearance for increased privacy. Stainless steel fall closed hinges, coathook, easily operable indicator bolt with full length satin anodised aluminium channels & pedestal legs. Manufactured from 20mm solid grade laminate (SGL) with vertical edges rebated to create flush finish. Satin anodised aluminium flat bar. Manufactured from 13/20mm solid grade laminate (SGL). 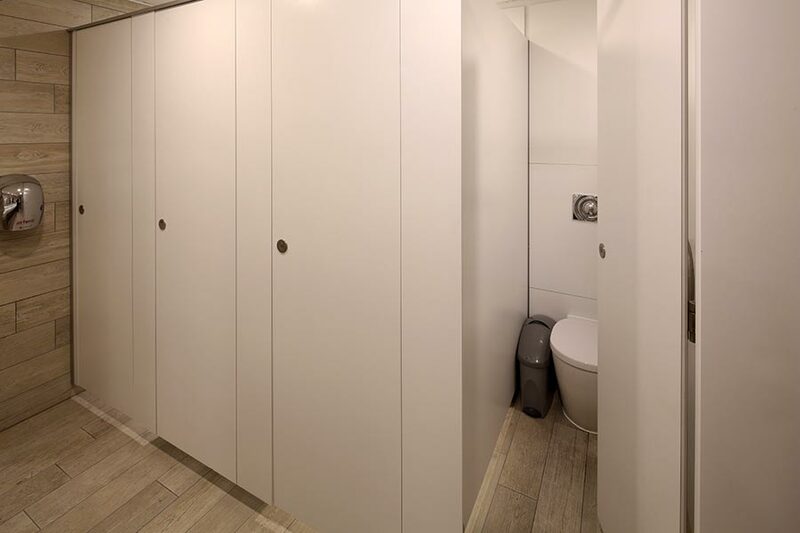 Marcato cubicles are available in configurations to comply with approved Document M complete with outward opening doors. 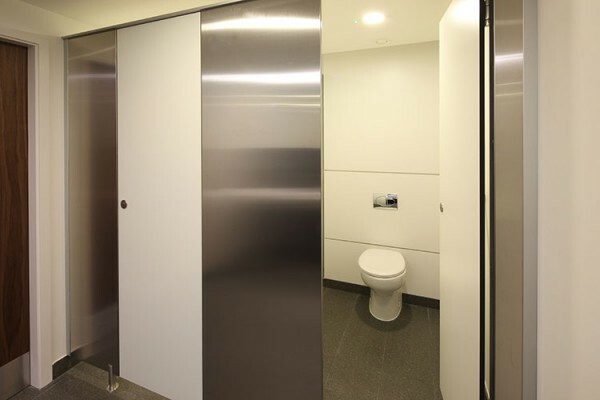 Our standard stainless steel pull handle is supplied to the outside face of all outward opening cubicle doors. Complementary grab rails are also available.